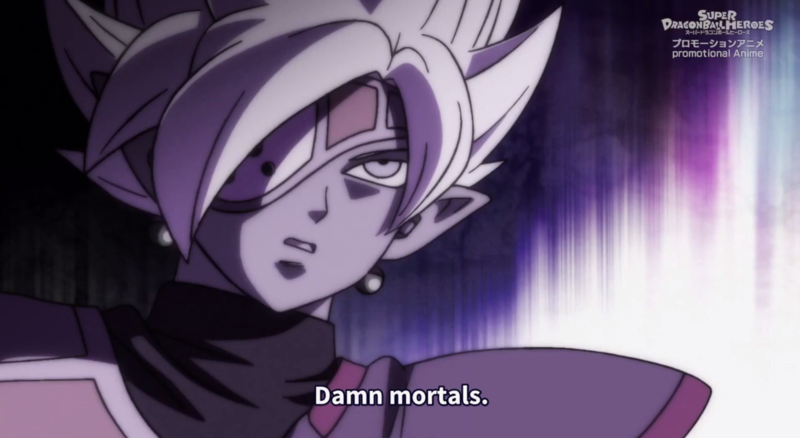 Super Dragon Ball Heroes Episode 8 Release Date, Synopsis & Spoilers Revealed! Hey guys! How’s it going on? The last Super Dragon Ball Heroes Episode was really interesting as we got a closer look at the new villains of the arc – the Core Area Members! The official Japanese episode was posted on their website and Youtube channel. The English Subbed episode was also released shortly and is available to stream on Terez’s Youtube channel. 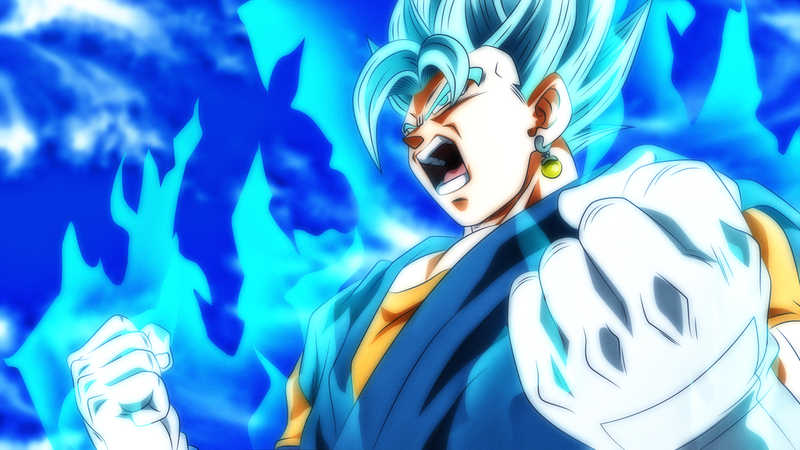 Now, let’s take a closer look at Super Dragon Ball Heroes Episode 8! We really didn’t get much information about the Super Dragon Ball Heroes Episode 8 in the starting but now their official website is updated with a lot of new information. The website has revealed that Super Dragon Ball Heroes Episode 8 is going to be released on February 24, 2019! The site wasn’t updated with an exact release date before but now it’s been updated. We are going to see one hell of a fight in this episode! It’s exciting! 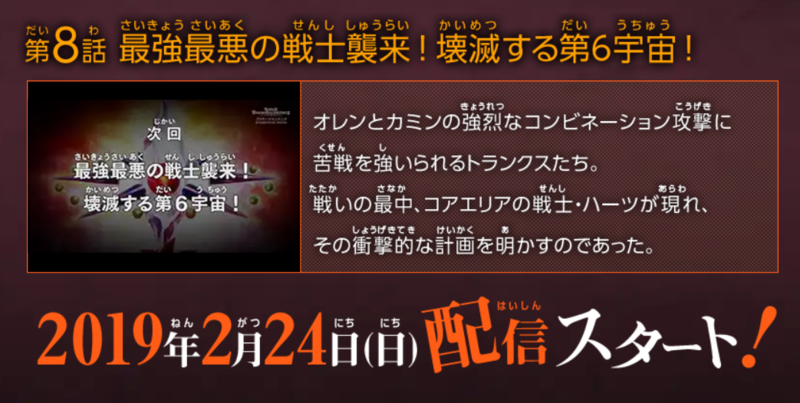 The title of Super Dragon Ball Heroes Episode 8 is – “The worst war invasions! The annihilation of the universe 6!” Seems like Universe 6 is in big trouble. We can see Zamasu and the other evil villain who I think goes by the name ‘Haatsu’ are plotting a very sinister plan. We also have the synopsis of the upcoming Super Dragon Ball Heroes Episode 8 given down below! We also have the manga spoilers for the next episode. Super Dragon Ball Heroes Episode 2 Official Stream & Summary! Dragon Ball Super: Broly – Ultra Instinct Spoiler Explained! Dragon Ball Super New Arc Will Be Supervised By Akira Toriyama! Next story Boruto Anime Schedule For February – March 2019! Naruto Shinden Arc Starts! Previous story Artist Kenji Recreates Your Favorite Dragon Ball Characters With Stunning Samurai Makeovers!